Many believed that Arizona would build on a very promising 2014-2015 campaign in which they won ten games and won the Pac-12 South. Instead, the Wildcats limped to a 6-6 mark on the year and find themselves in a rather uninspiring bowl against New Mexico. Granted, the Lobos put together a solid campaign in Mountain West play, going 7-5 overall and 5-3 in the conference, with a pretty major win over Boise State. Bob Davie has transformed the Lobos, once a perennial laughing stock, into a very respectable program. He will lean heavily on his go-to back, Jhurrell Pressley, who has 846 yards, along with Teriyon Gibson, who added 766 yards as well. Overall, New Mexico had a top 10 rush offense in the entire land, and it will be interesting to see how Arizona's inconsistent rush defense performs. Particularly worrying for Arizona is the fact that stud linebacker Scooby Wright could very well miss this game, after missing a large chunk of the year due to a multitude of injuries. It will be interesting to see how much New Mexico attempts to pass the ball in this game. Neither sophomore Lamar Jordan or Washington State transfer Austin Apodaca have been great, but a decent pass attack would go a long way in this one. The Wildcats will bring an up-tempo and spread offense to the equation. Anu Solomon has seemed to regress his sophomore season, but will still bring experience and a big arm to the equation. New Mexico's defense as a whole has been decent all season, but they have not faced an offense with the amount of weapons that Arizona possesses. Guys like Cayleb Jones and Nate Phillips can bust open games at receiver, while sophomore back Nick Wilson is a stud. The Lobos will have to be disciplined in this one and make sure to make the tackles they need in open space. If not, Arizona very well could have a huge offensive output. While this game doesn't scream big-time bowl matchup (obviously), it should be a very exciting game to kick off the bowl season. Arizona has had a pretty disappointing year but a win here could push them to a very respectable 7-6 on the campaign. Meanwhile, New Mexico will hope to defend their own home turf in a big way. While I think their ground attack can keep them in this one, I worry about New Mexico stopping the big plays. Outside of Utah, the "Holy War" rivalry may not be viewed as a huge rivalry on the college football scene. In reality, it is a huge contest out West, usually featuring two solid, well-built programs. Both teams enter the year 9-3, with quite a bit off accolades. For BYU, the Cougars managed some truly unreal victories en route to their nine victories, highlighted by their season opening Hail Mary against Nebraska. Meanwhile, the Utes beat Michigan and Oregon and were in the Playoff conversation for a decent chunk of the year. BYU's head coach Bronco Mendenhall announced he was taking the Virginia job, but will coach this bowl game. That should add extra motivation to the Cougs, who aim to send their coach out on a grand note. The Cougars will be led offensively by freshman quarterback Tanner Mangum, who filled in for Taysom Hill (injured for essentially the whole year) and threw for over 3,000 yards with 21 touchdowns. Mangum isn't the flashiest QB in college football, but he is a fun, confident signal-caller who has proven he has some magic about him. He'll be supported by a solid rushing attack along with receiver Mitch Matthews (11 touchdown grabs). Though, Utah has been stout all season long on the defensive side of the ball. Linebacker Gionni Paul leads a hungry front seven, while defensive back Marcus Williams has been an interception machine. Mangum will have to come into this game with his same usual amount of confidence, but also play smart and under control. For the Utes, the tale offensively for much of the year was Devontae Booker, running the ball wild. Unfortunately, Booker was ruled done for the year late in the campaign, and will not play in this one. Junior running back Joe Williams has been asked to pick up the slack and has performed admirably. Though, he'll have to have a big game on the ground if Utah is going to put up a lot of points. Senior quarterback Travis Wilson has slumped in the season's second half, though still presents playmaking ability as a runner. 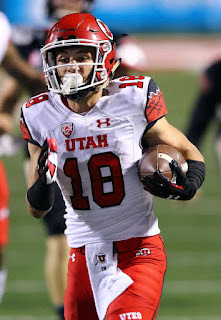 Another player to watch on Utah's offense will be receiver Britain Covey (41 catches, 518 yards on the year), who also presents a danger in special teams. It has been a pretty surprising year in many ways for both teams. The Utes have been better than expected and have a chance at double-digit wins while BYU has survived despite a tough non-conference slate. Unfortunately, the Utes just don't have the offensive punch needed to hang with BYU in this one. Their defense should keep it interesting, but I don't see the Cougars dropping this one. A meeting between a MAC team and Sun Belt team may not inspire a lot of excitement, but the Camellia Bowl should feature two of the top Group of Five squads in the nation. Ohio has won eight games on the year, ending the year on a hot streak, with three straight victories. Meanwhile, the Mountaineers, in just their second year on the FBS level, won 10 games and at one point in the year had a 10-game conference winning streak, continuing from last season. The Mountaineers are led by Marcus Cox, among the nation's most under-appreciated running backs. Cox ran for 1,261 yards and eight scores on the year, and continues to be a dangerous playmaker. Quarterback Taylor Lamb also performed very well all year long, finishing with 2,263 yards and 29 touchdowns. Appalachian State's offense isn't necessarily viewed as explosive, but they play smart with the ball and don't turn it over. That should put some serious pressure on a Bobcats' defense that has been okay, but not great, all year long. The Bobcats, meanwhile, have a number of weapons they can use offensively, headlined by senior receiver, Sebastian Smith, who is trying to end his career on a high note. The question for Ohio will be their quarterback situation. Senior Derrius Vick was the starter for much of the year, but has not been 100 percent lately. That has thrown Frank Solich to use the pair of J.D. Sprague and Greg Windham. No matter who plays in this one, they will have to contend against a Mountaineers' defense that is adept at pressuring the quarterback and forcing turnovers. Both teams should be very motivated in this one, even though it may be relatively forgotten in the grand scheme of the bowl schedule. Ohio has showed plenty of promise all year and is eager to prove they are still a power program in the MAC, while Appalachian State, a former FCS powerhouse, is trying to prove themselves on their greatest stage, perhaps since their famous upset over Michigan all the way back in 2007. While Ohio is a sound football team that is playing well, the Mountaineers have enough weapons on both sides of the ball to finish the job. Much like Appalachian State, Georgia State will be playing in their first ever bowl, and they will be eager to prove they belong. The Panthers ended their season on fire to finish off a very respectable 6-6, behind head coach Trent Miles. 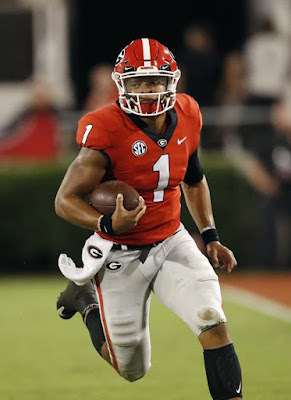 The Panthers' main source of offense has been through the air, helped out by the huge arm of quarterback Nick Arbuckle. Arbuckle finished off with 4,160 passing yards, with 26 touchdowns, while completing 64 percent of his passes. Though, because Arbuckle throws so much (457 attempts on the year, an average of 38 times per game), turnovers can be a problem. San Jose State would obviously love to force a couple turnovers, but they may be preoccupied with GSU's deep threats. Receivers Penny Hart and Robert Davis both hauled in over 60 catches for over 900 yards, and have been giving defenses problems all year long. Hart, especially, is a pain to stop. He is an excellent route runner, possesses great speed and excellent burst, while also being a dynamic player when operating after the catch. The Spartans, on the other hand, finished off the campaign a mediocre 5-7. While nobody around campus will be likely be overly celebrating a five-win campaign, it helped the Spartans earn their first bowl appearance since 2012, back when David Fales was under center. Unlike Georgia State, the Spartans main source of offense is one the ground, behind their stud back Tyler Ervin. Ervin has 1,469 yards and 13 touchdowns on the campaign, and will look to tear apart an up-and-down GSU rush defense. Quarterback Kenny Potter will also obviously play a key role in the Spartans' efforts. Potter has put together a strong year since taking over for Joe Gray, though both have seen significant playing time. Potter, a former junior college find, not only offers something as a passer, but he is a deceptive runner (346 yards, six scores on the year). If the Panthers are not fully prepared to stop the run, they could definitely find themselves having a tough time. This bowl is almost like a bowl of new beginnings. First off foremost, it is the inaugural year of the Cure Bowl itself. It is also Georgia State's first bowl, and SJSU's first in a few years. Expect the Panthers' bowl record to increase to 1-0 after this one, particularly if the offense takes care of the ball. There are always hidden gems in the early portion of the college bowl schedule, games that are often overlooked because neither program has national recognition, but the games end up being great. This New Orleans Bowl certainly looks like it could be quite the gem itself. Arkansas State has quietly turned into one of the nation's most consistently strong programs, winning the Sun Belt this season with nine wins. That marks the fourth time in five years the Redwolves have at least won a share of the conference title. After slow start to the year, Arkansas State has been re energized by senior QB Fredi Knighten. Knighten injured his foot prior to the year, and lost a chance at the starting gig. Though James Tabary struggled to begin the year, and ASU head coach Blake Anderson turned to Knighten, who has shown. The senior not only has shown incredible poise and confidence, he has proven to be a playmaker that can extend plays with his legs. Joining him in the backfield is 1,000-yard rusher Michael Gordon, which gives Arkansas State a pretty dangerous 1-2 punch in the backfield. Louisiana Tech's defense has been porous all year long, as they have had to win a number of shootouts. Expect the Redwolves to be very aggressive in attacking the Bulldogs. Though, Louisiana Tech can certainly match any offensive output ASU can put up. Florida transfer Jeff Driskel has been a revelation with the Bulldogs. Sure, coming from SEC play to C-USA play is a nice transition, but even so, Driskel's 3,575 yards and 24 touchdowns are very impressive. Though, the senior is coming off a rough game against Southern Miss, in what was essentially the C-USA West Division Championship Game. Helping out Driskel should be one of the nation's most underrated backs in Kenneth Dixon, who has 968 yards and 17 scores on the campaign. With Driskel also being mobile, Arkansas State's defense should also be tested. But, Anderson has done a great job with the disciplined defense, and even against tough competition they should be ready for the battle. 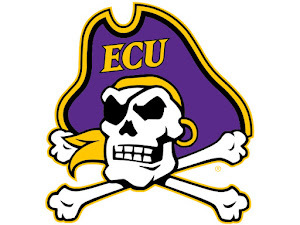 Both of these teams have established themselves as relevant Group of Five programs. A win by either would only go further in gaining national recognition. With both offenses ready to score in bunches, it could come down to whichever defense steps up. I like the Redwolves' chances, even though they will not have an easy go off it.